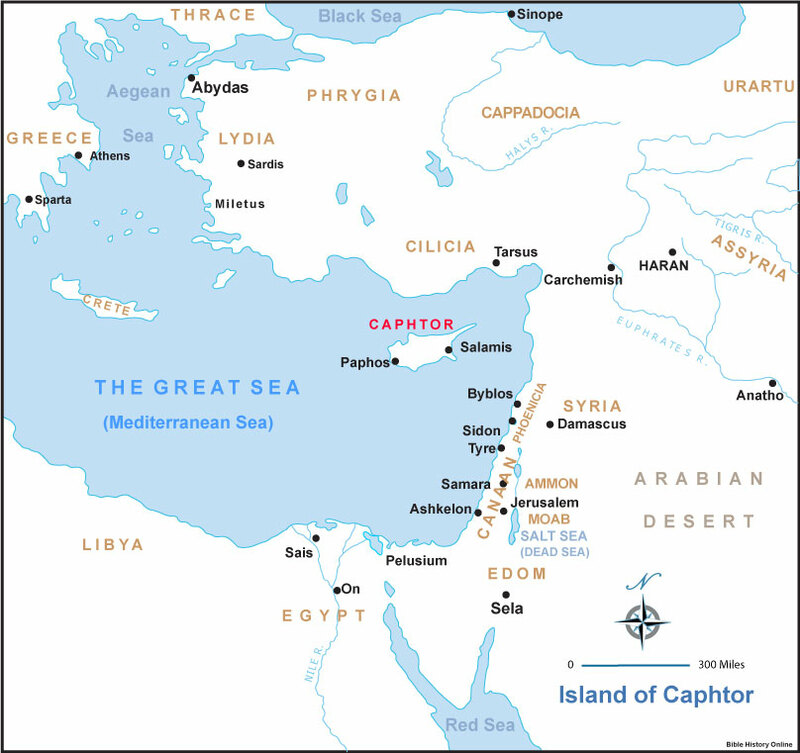 The island of Cyprus in the Mediterranean Sea has few references in the Bible. The Kittim were mentioned in the Table of Nations and according to this image, resided on the island. The Kittim were described as ancestors of Javan in both Genesis 10:4 & 1 Chronicles 1:7. They were also mentioned in Numbers 24:24 & Jeremiah 2:10 (NIV only). 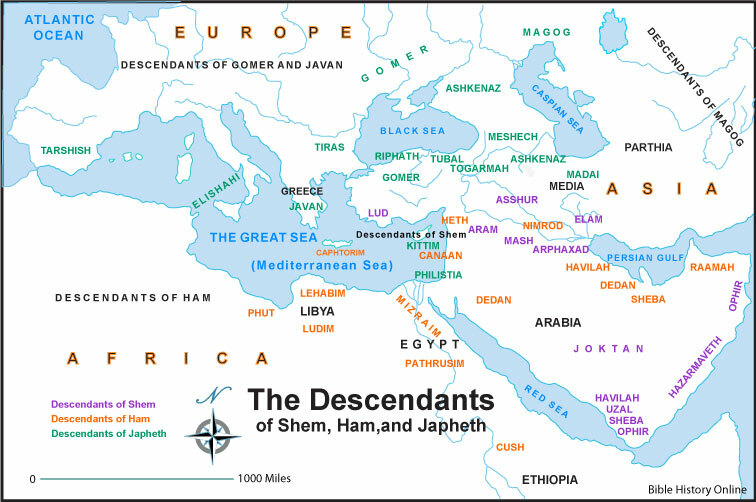 Later, it was known as Caphtor & therefore was settled by Ham's descendants through Mizraim. Caphtorites were said to be descendants through Mizraim in Genesis 10:13-14 & 1 Chronicles 1:11-12. In Deuteronomy 2:23, Avvites were defeated by Caphtorites (presumably along the coast of the Mediterranean). Later in Jeremiah 47:4, he prophecied against the Philistines by invaders coming from the "coast of Caphtor". Amos 9:7 refers to Jeremiah 47:4. Towns on Cyprus mentioned in the Bible are Salamis (Acts 13:5) & Paphos (Acts 13, verses 6 and 13).